US citizen of Iraqi descent charged in Chicago with online coordination with ISIS to recruit and encourage attacks. A US citizen of Iraqi descent was charged on Friday in Chicago with online coordination with the Islamic State (ISIS) jihadist group to recruit and encourage attacks, federal authorities said, according to AFP. Ashraf al-Safoo was arrested on Wednesday and charged with one count of conspiracy to provide material support and resources to a foreign terrorist organization. The 34-year-old made an initial court appearance Friday and was ordered held in federal custody. Safoo is accused of disseminating "online propaganda promoting violence in support of (ISIS)," said Assistant Attorney General John Demers in a statement. The naturalized US citizen is allegedly a member of Khattab Media Foundation, an online group aligned with ISIS, authorities said. He is accused of posting pro-ISIS "videos, articles, essays and infographics across multiple social media platforms, at the direction and in coordination with" the jihadist group, said the Department of Justice. Much of the propaganda allegedly promoted violent jihad. The government's complaint made public Friday included posts Safoo is alleged to have written online calling on others to "roll up your sleeves" to create online content in support of ISIS. Several Americans have been arrested in recent years on charges of support for ISIS. American prosecutors have charged more than 100 individuals since 2013 with ISIS-related crimes. In August, Sgt. 1st Class Ikaika Kang, a Hawaii-based US soldier, pleaded guilty to trying to help ISIS. Kang was arrested in Hawaii in July of last year and was accused of wanting to commit a mass shooting after pledging loyalty to ISIS. 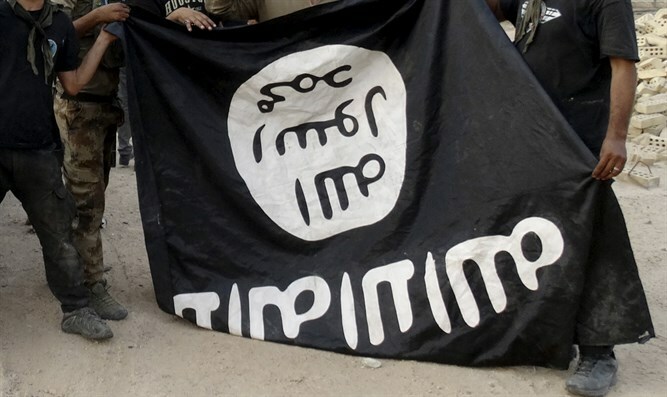 Court documents said Kang met with undercover agents he thought were from ISIS at a home in Honolulu, where he pledged allegiance to the group and kissed the jihadist group’s flag. Last year, a Massachusetts man was sentenced to 28 years in prison after he was convicted of conspiring to support the ISIS in a 2015 plot to attack police and behead anti-Islamist blogger Pamela Geller.